← どうして葉の背側が木に張り付くように形成されるのだろう？？ Why do leaves of Nepenthes veitchii wind around the tree? 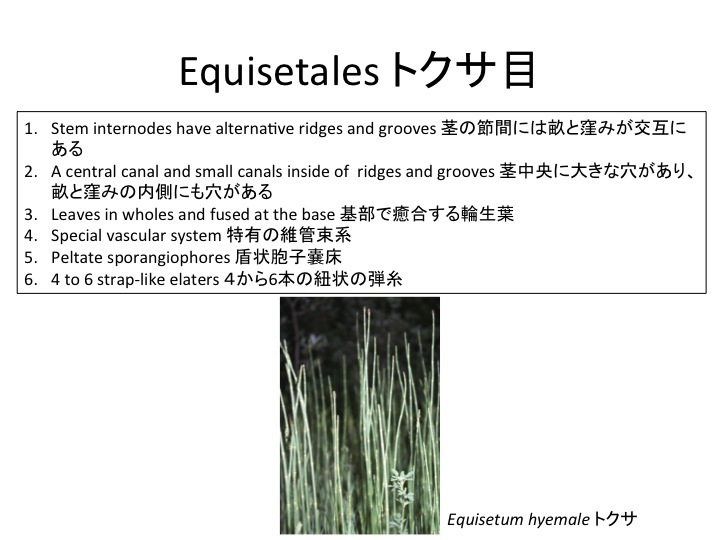 These five apormophic characters in Equisetales are all unique in land plants. What did changes of gene regulatory networks cause such evolution and such different morphology makes us recall a question what is a common body plan in vascular plants or land plants.